Nevis River valley near Whittens Stream looking north. Historic gold mining sluicings far left, old musterers hut at right. Garvie Mountains at right. 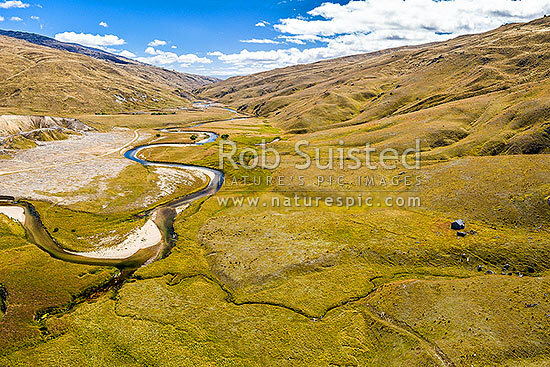 Aerial view, Nevis, Central Otago District, Otago Region, New Zealand (NZ), stock photo.